NEOM Organics Reed Diffuser: Real Luxury 2014 (100ml) boasts a soothing and spicy scent that combines heady jasmine with a little French lavender and tones of Brazilian rosewood. Creating an aroma that gives the effect of cashmere blankets and the flutter of fireside warmth, this diffuser creates the ultimate luxury. Jasmine has been known to lift the spirits and inspire optimism. 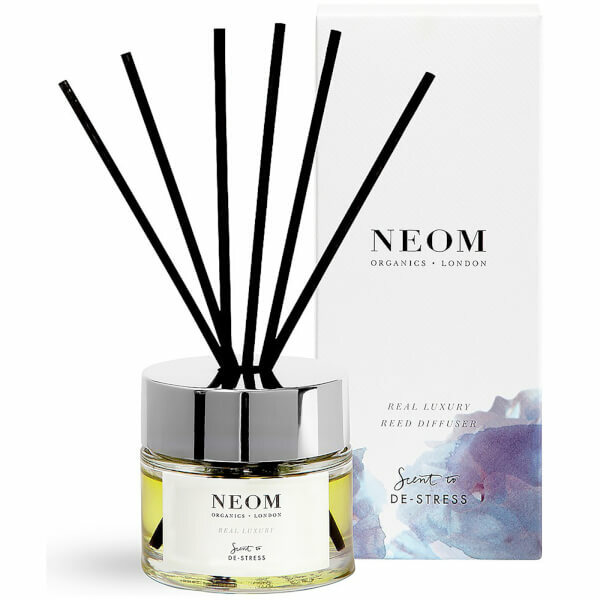 Specially chosen for their ability to make you feel pampered, NEOM have also added a further 21 essential oils that give off a balancing effect on the mind and body.